Damijan Podversic started out in the family business as a negociant. 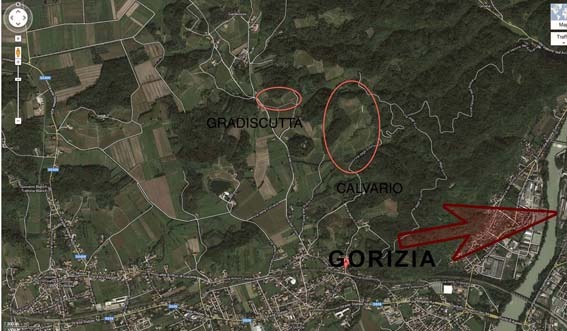 But when he found a small abandoned plot in the Collio Goriziano, he ignored the common attitude that it was too difficult to work and eagerly bought it. He cleared the land, rebuilt terraces, and set to replanting it: not only does he now cultivate top-quality grapes, but his once skeptical neighbors eye his steep mountaintop vineyard with great envy. Podversic’s work in the cellar is no less daring and no less successful. 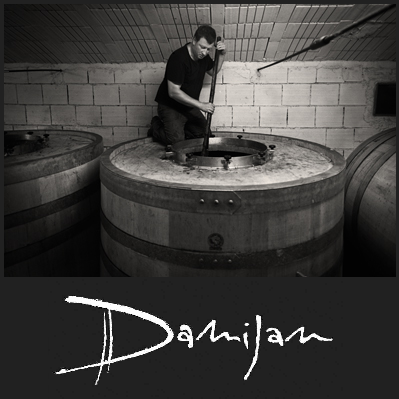 Breaking the confines of tradition and shunning modern practices like the use of stainless steel, Damijan pursues natural winemaking, which he learned from the great Friulian producer Josko Gravner. His Collio Biancos are both fermented on the skins with natural yeasts; he never bottles or releases a wine unless it has had ample time to develop; he even insists on bottling the Kaplja in December while the moon is waning. Though already producing excellent wines, this young man holds great promise for the future.